The 2015 federal election campaign is the longest in recent history at a marathon 11 weeks. That’s a lot of time to hash out the issues. But what are the issues? And what can a federal Member of Parliament do about it? When it comes to business and the economy, every level of government is involved and it can be tricky to know who is responsible for the latest problem you’re dealing with. 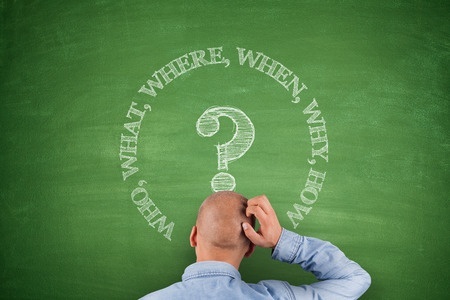 Keep reading for a primer on which questions you should be directing toward the federal candidates during this election campaign (and after), and which questions should be saved for your MPP or municipal councillor. Once it’s clear that you’ve got a federal issue on your hands, make sure you plan to come out for one of the two debates hosted by the Greater Dufferin Area Chamber of Commerce (GDACC) on September 30th and October 6th. Ask your question now online for the candidates or bring a written question to the debate. Questions will NOT be permitted from the floor; only written questions will be posed via the moderator. In general, the Government of Canada is responsible for matters that apply to the whole country. These matters include foreign policy, trade regulation, money and banking, equalization payments, the census (and Statistics Canada), patents and copyright, employment insurance, immigration and citizenship, and national defense. The provinces and territories are in charge of areas listed in the Constitution Act of 1867, including education (elementary to post-secondary), health, and transportation. Municipal governments (regions, cities, towns, townships, etc) are responsible for the administration of their district. Talk to your councillor about development issues like zoning, building permits, water and sewer, roads and sidewalks, and garbage collection. Some responsibilities are shared between two or more levels of government. Agriculture and natural resources are shared between the federal and provincial governments, while economic development and tourism are undertaken by all three. Public transportation is also shared to some degree, based on whether the system is regional (province) or local (municipality). The federal government has committed money to major public transit projects recently, but is not responsible for it. It’s made for kids, but the TVO video Who Does What? provides a great (and really catchy) summary. For an easy overview of the three levels of government click here. That’s the broad overview, now here’s some clarification on the major issues Dufferin businesses are facing right now. The cost and quality of your internet service is largely decided by private telecommunications companies, which means they provide service based on available demand. However, due to the huge importance of internet access, the federal government has become very involved in making sure that there is a minimum level of service in rural areas across the country. The Connecting Canadiansprogram will invest up to $305 million over five years to make sure 98 per cent of Canadian households have access to internet speeds of at least 5 Mbps. Most business owners agree that the 5 Mbps target is too low. If you agree, say this to your candidate and ask if they intend to pursue a higher target. Many communities, including this one, have a shortage of skilled tradespeople. The training of these people is largely in the hands of the province, which is responsible for secondary and post-secondary education, but the feds can provide programs to shape the labour pool. For example, the current government has been working with the provinces to “reorient training towards labour market demand” through Labour Market Development Agreements and introduced a suite of programs directed to job seekers and employers under their Economic Action Plan. These programs change frequently and can be influenced by constituent feedback. Taxes are collected by every level of government, and the feds are no exception. The federal government has the power to change its base tax rate (in fact, all parties are proposing to lower the small business tax rate from 11 to 9 per cent), and it can also implement deduction/ credit programs to reduce the amount of tax for specific groups and influence behaviors. For example, theApprenticeship Job Creation Tax Credit aims to help young skilled workers get experience, while offsetting the employer’s cost of hiring them. Review the list of federal refunds and credits and if you think they could be adjusted, or see a gap that could be addressed with tax policy, take it up with your candidates. These 10 topics are fair game during this federal election campaign. Ask your candidates about their plan to reduce red tape. We hope this blog has helped you distinguish how the federal government impacts your business, and what candidates can do that would make your life easier. While it’s most effective to talk to the candidates about issues that are under their direct control, it’s important to remember that since the federal government is at the top of the chain of command, it has the power to at least support or influence issues that other levels of government are responsible for. That means you can bring up provincial hot topics like the Hydro One sale, just do a bit of research to understand how much, or little, influence the feds can have.